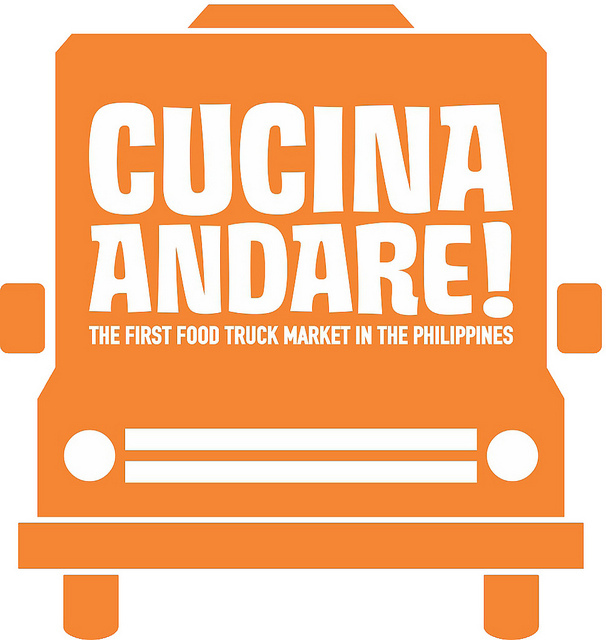 The first food truck market in the Philippines is finally open at Glorietta 3 Open Park in Makati ( just in front of Makati Shangri-La Hotel, 6750 Building, Ayala Center, Makati City) every Friday, Saturday and Sunday from from 4:00pm to 3:00am starting December 14, 2012 (Friday)! Cucina Andare is patterned after the famous food truck stalls that is so popular in the US. The concept came from the same organizers of the popular Mercato Centrale night food market in Bonifacio Global City, Taguig. I am happy that the organizer RJ Ledesma and Anton Diaz continue to give business start-ups a chance to showcase their food offerings. Thank you so much Anton, RJ and Erwin for the invitation. I really enjoyed the live acoustic performances and various food products at Cucina Andare. I was able to buy two burgers for the price of one at Brother Burger's Food truck. Yes! That's 50% off their original price during the opening of Cucina Andare last December 14, 2012. The discount is available until Sunday, December 16, 2012. Another truck that caught my fancy is the Shawarma Bros. Their shawarma truck offers, beef, chicken and lamb flavor shawarma with rice. The 5 partners who call each other bro, came up with the idea months before the Cucina Andare concept came up. They are one of the start-up businesses that got a break at Cucina Andare. I tried their food offerings ( Yes, you read it right, I tried all of their three flavors) and boy was I surprised how budget- friendly their foods are! Yummy na mura pa! Saan ka pa? Try na ninyo dali! Did I mention ang popogi din nila? Ha ha ha! Oii mga bro, libre ninyo ako. Ha ha ha!Joke. Sa mundong bilog, maliit ang mundo para sa mga Bicolano. I am happy to find a kababayan on one of eight food trucks at Cucina Andare. Hungry Rover, composed of friends from different field who got together because of their love for food. My kababayan Walter Lozada explained that they came up not only with pita, tapa, but also with rice meals because they believe office workers in Makati area won't go out of their offices just to eat bread, so they offer rice meals too. The First Philippine Food Truck Market will be there for the next 3 weekends! Don't miss out being part of the Food Truck Revolution here in the Philippines!